My workshop is set in a trailer, which looks more like a living room than a workshop inside. It can be viewed on my web-site or, simply, by searching “Revyagin” on youtube. It’s located in Moscow. I spend five days a week in there. I am “nocturnal”. I usually work nights, as creative work requires loneliness. I return home to my family for two days a week. I was born in the city of Grozny, Republic of Chechnya in 1972. In 1992 the war forced me to leave. As a Chechen refugee upon settling in Moscow, I had to try a few different jobs including driving a taxi for two years until I was able to buy a small apartment in a Moscow suburb and a car. None of the jobs I held were “mine” and, finally, I found an answer right under my nose! I was already smoking a pipe and usually smoked clenching it in my teeth. Smoking a pipe while driving a taxi made me think a lot about pipe balance and at some point I decided to make a pipe myself. Most beginner pipemakers experience the same main and biggest obstacle – poverty. Everything else is secondary. Was it difficult to find the right tools? Russian proverb says: “Those who search shall find”. I cannot say that it was difficult. In time, I found everything I needed, adding new tools and new practical methods for their application. How did you learn to make pipes? At first, I used to buy cheap briar pipes and had them re-worked. Then, advertised myself as a repairman to Moscow pipe shops. A good school for a pipemaker. I am a self-made pipemaker. It is my philosophy and an issue of principle to find solutions to problems presented by the craft by myself. Source of Briar? Thoughts about Briar Quality? I buy all of my briar from Jaume Hom company in Catalonia, Spain. The company is operated by the father and son. We understand each other very well and I thank God for the chance to meet these two professionals. There is only one briar criteria that is important to me – briar beauty. I never considered briar origin to be very important and never asked Jaume Hom about it. I don’t really believe in the widely-accepted legends about Corsican briar superiority over briar from other origins and about advantages of long aging of briar. The grain tells it all. I consider myself a real briar maniac. All of my inspirations come from the block of briar in front of me. In my mind, briar draws a parallel with an ancient Greek myth about Prometheus, who gave people the gift of fire and who was, in turn, punished by Gods for stealing it. Likewise, briar is giving carvers a gift of beautiful grain and, for that, punishes us with its hidden flaws. 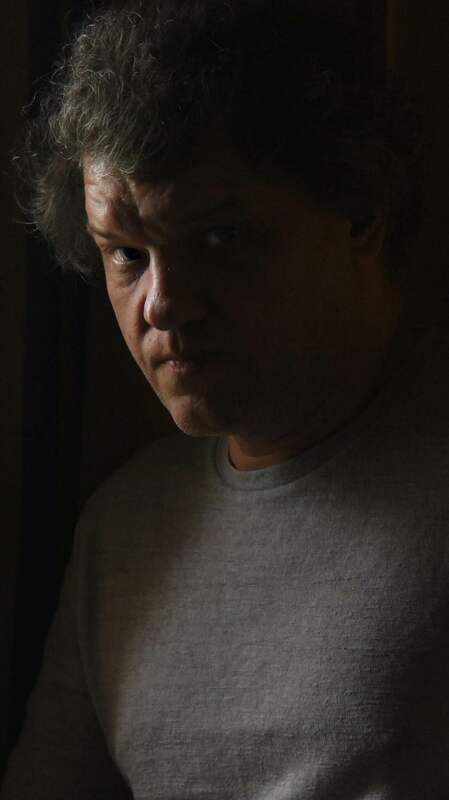 I look at briar as a living organism (I guess you can call me a Pagan worshipper, laughs). Pipe-maker is a part surgeon, in part mine-sweeper, archaeologist, sculptor-miniaturist… Briar doesn’t like to give the shape out right away. I have to fight for it, take risks and be prepared to loose… Jewelers have an expression – “romancing the stone”. I romance my briar trying to guess and free up the only right shape that is hidden inside the block. How Many Pipes Do You Make per Year? Every month I make about five pipes (60 a year would be the good number). 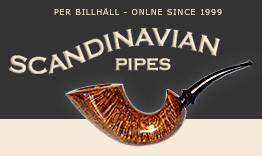 My web-site has a catalogue of pipes made in 2006, 2007 and 2008, where each pipe has its date of birth. 100% of my pipes are smooth. I don’t use a grading system. All my pipes are completely hand-drilled. I don’t use electric drills of any kind. Manual drilling has a lot of importance to me, as it gives more freedom to my sculpting techniques and helps me develop my own system of images. I actually dislike all electric machines in general. The only part of the pipe that I drill on a wood-lathe is a mouthpiece tenon. Even tobacco chamber is being finished using a Dremel tool. Sometimes I cut my tobacco chambers asymmetric. I think this method opens carver’s design possibilities for discovering new shapes. Is pipemaking a full-time job now? Of course! Pipemaking is not my hobby. It is my life now! I am a happy man being able to do what I love. I don’t need any other hobbies or jobs. How many years have you been carving pipes? Which life experiences helped (and still helping) you in pipemaking? I always cut my own mouthpieces from scratch. I consider using pre-cut mouthpieces as cheating the craft of artisan pipemaking. I mostly cut stems from German vulcanite rod; less frequently from Cumberland. I prefer German vulcanite. Smoke channel diameter is an old (and, frankly, quite boring) argument to me. In my pipes, I use 4mm, 4.2mm and 4.5mm depending on other design factors of each particular pipe. My own smoking preference is 4.2mm. For some time, I was also very interested in hand-made system pipes with titanium cooling inserts. These pipes were designed with an idea similar to the one used in the Falcon system pipes. Falcon pipes are more of a practical smoking instrument with the system visible from the outside. My titanium system pipes looked the same as normal artisan hand-mades with the entire titanium spigot system hidden inside the shank. There’s always been a lot of controversy and different opinions amongst Russian pipe-smokers about the design and look of my lip buttons. See, I view the button as part of artisan’s trademark. I came to this design after much iteration. Each one of my buttons takes at least two days to finish. I consider them very comfortable with the thickness of 3.2. to 3.5 mm at the bite area. I love classic shapes, especially elegant classic shapes, where the diameter of the shank-to-bowl joint is no more than 12 mm (1/2”), such as billiards and Canadian billiards. The contour line of shank and stem should form a nice uninterrupted line. Such design requires complicated and skillful hand-drilling. I also like freehands. Lately, I make more freehand pipes trying to crystallize my own “line of pipe imagery”. Horn is my favourite shape of all times. I consider this shape to be the most difficult to make. Horns made by Bo Nordh were my strongest inspirations in developing design style. I think I was successful in not only “copying” Bo’s horns, but also developing my own horn engineering (the order of drilling and the use of double drilling). I named this evolved horn an “Elephant Trunk” – it has a wider base and significantly lighter weight. The most challenging (and interesting) thing for me in making an Elephant Trunk is being able to hand-drill the mortise. Once I’ve developed this methodology, I stopped making “regular” horns and only carve Elephant Trunks now. Noteworthy, my double drilling in the shank is very smooth and pipe-cleaner passes through with no difficulty at all. I use special tools utilized by jewelers that allow me to polish the transition inside. My other (most recent) love is what I call a “grotesque-bulldog”. It’s funny, in the beginning, I was avoiding bulldog shape in general because I dislike using wood-lathe; yet hand-cutting bowl grooves on a bulldog was just too scary a thought. But when I was able to overcome this fear, the first trial was surprisingly accurate. I even polished the grooves inside. What do you like the most about pipemaking? What do you dislike the most about pipemaking? Briar dust and pain in my hands used to frustrate me a lot. However; good air cleaners and humidifiers resolved the first problem. Experience took care of the second problem. I learned to distribute manual force better and relax my hand muscles. Better technique replaced having to use unnecessary (and exhausting) manual pressure. I am quite satisfied now. Most of my pipes are sold in Russia. A few were sold to German pipe collectors. I don’t really market my pipes to anyone. A lot of marketing would result in more orders. More work is a mixed blessing. I am worried that it could potentially disturb my creative cycle. Language barrier is also a factor. Undoubtedly, pipes shows can be very useful in pipemakers development. In 2007, for the first time, I went to the Slow Pipe Smoking Championship and Pipe Show in St. Petersburg. I haven’t been able to get to other venues yet because of their relatively high costs. In St. Petersburg, I met Rick Newcombe. His book “In Search of Pipe Dreams” made a big impression on me. I recall being “knocked-down” by a photograph of Bo Nordh’s horn in that book. I’ve never seen such a harmony and technical difficulty complementing each other so well! Too bad I couldn’t speak to Rick more because of my poor English. I noticed people smoking a pipe usually have higher level of intellect; hence, knowing pipe-smokers normally enriches person’s own intellectual level in addition to just making a lot of friends. What do you smoke yourself? I only smoke pipe holding it in my teeth and only when I’m working. Smoking Bans? Future of Pipemaking? What would you like to change in the modern pipemaking process? I am actively looking for new engineering designs, methods and techniques, which, in turn, could result in new shapes made entirely by hand. Old and proven pipe engineering is good, but it needs to develop in time. “Elephant Trunk” and “Bumble Bee” designs are the examples of my principally new shapes. What would you like to change in your pipemaking process?